It's all the buzz — the honey of honeys. Royal Jelly. It's the nectar that's the secret to the longevity of the Queen Bee. In this duo, Royal Jelly combines with other key ingredients to create a lively "hive" of beauty-benefits for your skin. You don't have to be a queen to look like royalty. Trying this product for first time and haven't had it long enough to affirm its benefits. I'm 56 and have no wrinkles, starting to see pores so hoping it will address this issue. Feels great on skin, not greasy or sticky, sinks right in. Keeps face nice all day from early in the morning. I am a new Perlier customer for serums, etc. I use this in the a.m. with Youth Creator. At night I use their Elixir made for the p.m. Looking forward to great results. I have been using all the Elixir products and have notice a big difference in my skin. I needed a little added punch and this does the trick. Im noticing my my lines are more faint and my skin is brighter after a couple days use. Great job Perlier! I am a new user to the Perlier skincare line and all I can say is WOW ..these products deliver results. Seriously. I am a skincare junkie and try EVERYTHING. I use this in the morning and the Hyraulonic Acid in the evening. 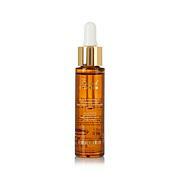 This Nectar Serum is a proven winner - Royal Jelly is a known excellent ingredient and this serum is divine. And the price cannot be beat !!!! I'm enjoying facial skin products from Perlier. I'm fairly new to the brand. My face does seem firmer, smoother and glows. They all seem to compliment each other. I'm hooked on this nectar serum! It's a great add. Thanks for the great products! This serum adds a serious boost to my skincare routine. 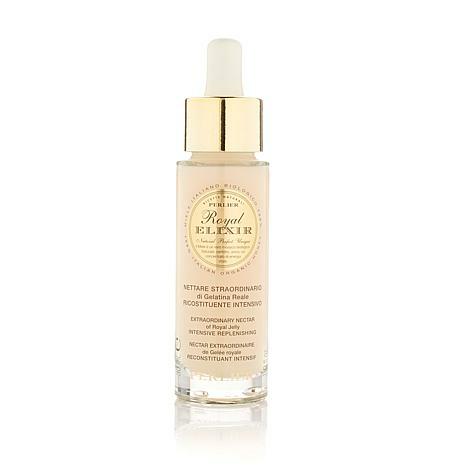 Combined with the Honey Miel Royal Elixir Youth Serum it nourishes my skin leaving it fresh and glowing. I've tried many products. These give great results.